Beacons, Mobile, Web Apps, Tech. Stephen Elliott is the founder of Llama Digital, based in the centre of Sheffield in the UK. Llama creates web applications, mobile apps and websites. Stephen is passionate about cutting edge technology and how it can best be applied in the real world. Everyone at Llama is particularly excited by the potential of iBeacons (or simply ‘beacons’ if you prefer) and is developing a solution using beacons that is aimed at museums and galleries. We’d love to hear from anyone that is involved with beacon technology or has a potential application for it. Stephen, as well as the Llama team, is available for consultancy and project development. Or perhaps just tea and biscuits and a chat. 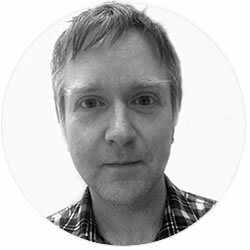 Stephen Elliott is the founder of Llama Digital - based in Sheffield, UK. Llama provide web and mobile applications and is currently developing location services with Bluetooth BLE Beacon technology. This blog will include Llama’s progress with Beacons, as well as vaguely interesting diversions along the way. How accurate are Estimotes at measuring distance?